Happy Friday and happy fall y’all! I love this time of year….don’t you? I’m so excited to share a little personal story today because life is tough, but so are you! Find out what’s so tough in my life these days….. I have been a single mom for almost 2 years now. Life is quite different and tough in many ways because I have to juggle so many things every day. I also have a full time job when I don’t have my daughters at home. My ex-husband and I share 50/50 custody and parenting time. It’s been a tough road and a time to grow through my divorce experience. I have found new ways to be content and happy in this season of my life. I am focused on raising my precious girls and working hard for them. Blogging, being creative, spending time with friends and family are things that keep my mind occupied and to not dwell on my past. I believe God has great plans for the girls and I. Our story continues to unfold and He makes all things new and beautiful again! 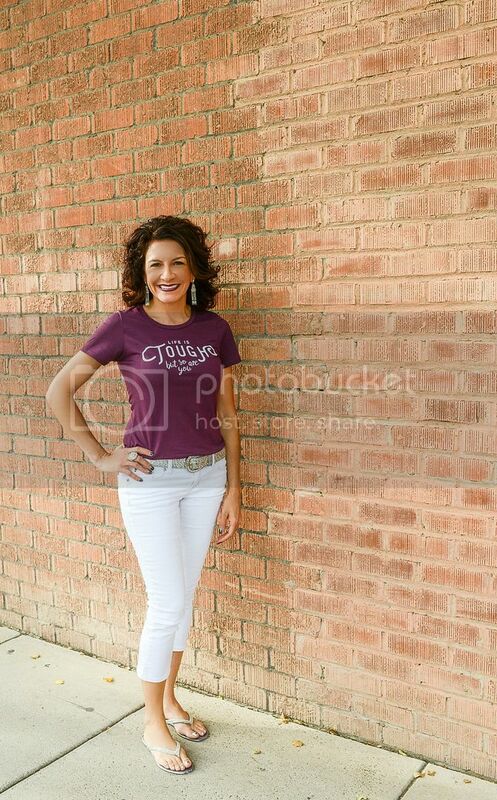 Another thing that keeps me positive and moving forward is wearing cute inspirational t-shirts like this one from Cents of Style! 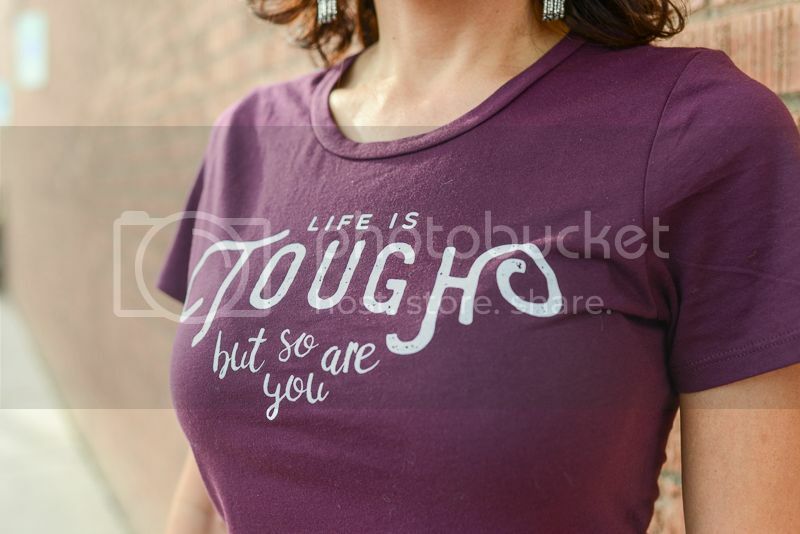 I love the message on this shirt because it truly describes how tough and strong I have been the past 2 years. The painful road of divorce can keep you pinned down if you let it, but you’ve got to fight through, keep going with your head high knowing and believing there is a much better future ahead. I hope you all have a wonderful weekend! I am going to try and do a weekly Fashion Friday post every week!